Martin Everding consults in international business law (especially the legal management of international industrial projects) and in Compliance matters. He accompanies clients from the initial stages of transactions through the drafting and negotiation of the contractual framework until the closure of the project. 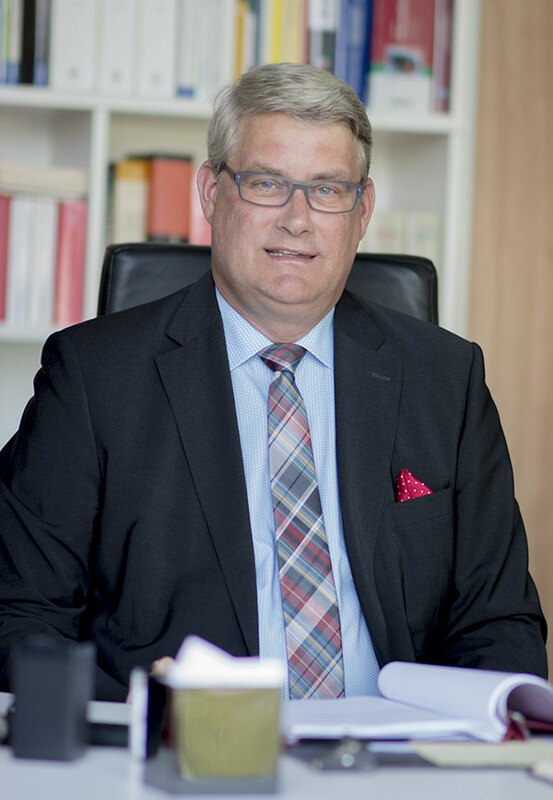 In case of disputes Mr. Everding has a wide experience with the typical problems of industrial projects (claims, delay, performance issues) and will represent the client’s interests – if necessary in front of a court of arbitration. The introduction of compliance management systems and the required instructions as well as the consulting of the management are also the expertise of Mr. Everding. Martin Everding has started to focus on international business law already during his legal education which he amended by becoming a certified translator for English. From 1995 till 2002 he was working with ThyssenKrupp where he commenced as inhouse counsel for industrial projects before taking up a position as General Counsel and member of the management for a company in the United States. In 2002 Mr Everding started as a director for international large projects in the MAN Ferrostaal group. Later on he took up positions as Senior Vice President for the development of international sales activities of the MAN group, investor relations and strategic projects. In 2011 he joined the law firm of Spieker&Jaeger, practicing in international business law and compliance. He also took up a position as managing director of an Industry Association representing companies with combined sales of approx. €1.5 billion.